Johannesburg - South African-born British politician Lord Peter Hain was all smiles, despite the steady pelting rain in Johannesburg, joking he’s just come from rainy London and he wasn’t expecting the weather to follow him here. Fin24 sat down with the former anti-apartheid activist and visiting professor at the Wits Business School at a hotel in Parktown, just as President Cyril Ramaphosa was being sworn in and the Hawks' net around the Guptas and their associates appeared to be tightening. “It’s extraordinary, it’s amazing to be witnessing this momentous change, also to reflect that I don’t think this would have happened….had it not been for the vigorous civil society pressure”. 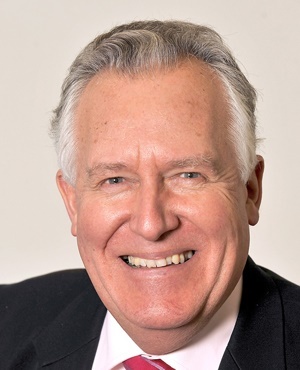 Lord Hain became well known in South Africa and internationally in 2017 for demanding accountability from UK based companies allegedly involved in state capture allegations, including auditing firm KMPG, banking giant HSBC and law firm Hogan Lovells. He said that he’s not a close friend of Ramaphosa’s, but he’s met him on a number of occasions and believes he’s an “exceptional individual” and “skilled negotiator” for ensuring former president Jacob Zuma left office, despite inheriting a divided party. “He’s a detail man as well as a vision man, very very bright, so I think South Africa is blessed to have him as a leader in the [late President Nelson] Mandela mould”. Investigations by the UK authorities whether HSBC helped the Gupta family launder money and whether Hogan Lovells whitewashed a report on alleged financial wrongdoing at the South African Revenue Services (SARS), are still ongoing. Hain, while teaching at Wits, was first asked for help by ANC stalwarts and he was given information about alleged corruption by South African whistle-blowers which he detailed in the UK’s House of Lords and leveraged his political connections as a campaigner to ensure investigations by UK authorities took place. He’s still unable to reveal his sources who he says in some cases risked their jobs and their lives to give him detailed information. Hain said that he’s introduced the main whistle-blower source in the HSBC case to The UK financial institutions regulator, the Financial Conduct Authority, which is probing allegations of money laundering related to the bank and they’ve engaged directly. Seven of the eight suspects who appeared in the Bloemfontein Magistrate's Court on Thursday were granted bail ranging from R10 000 to R200 000, related to the Estina Dairy Farm investigation. “It should have happened a long time ago, I mean you know, this has been corruption and looting and criminality on an industrial scale and the greed and the shamelessness of it, that’s what really amazed me. “I think the writing is on the wall for corrupt individuals, that they will be hunted down. I think President Ramaphosa will insist the Hawks…and the NPA do their job,” Hain said. Of all the companies he’s spoken about in the House of Lords, Hain reserves particular contempt for law firm Hogan Lovells. In January, he referred the international company to the UK’s Solicitors Regulation Authority (SRA) for allegedly enabling corruption at SARS. Hain said at the time that a "whitewashed" report by the law firm had “spared” SARS head Tom Moyane and top executive Jonas Makwakwa from “accountability for their complicity in and cover up of serious financial crimes”. He complains that while other companies such as UK PR firm Bell Pottinger, KPMG and HSBC have admitted wrongdoing, Hogan Lovells have remained mum. “I think nobody should have anything to do with them, I think their clients should withdraw their custom, until they have admitted what they’ve done." Hain said that Hogan Lovells is yet to disclose how much they were paid by SARS for the report on Makwakwa and Moyane. KMPG in September 2017 admitted part of its report into the "spy unit" at SARS was flawed and offered to pay back the R23m the auditing company had received for the work done. “They [Hogan Lovells] think because they’re clever lawyers, they can get away with it. Well my message is that they can’t, their reputation has already been damaged." Hain said the largest repercussion for companies involved in state capture allegations has been loss of business. Bell Pottinger was forced into liquidation and the Financial Times reported that KPMG in the UK has lost 80% of its public sector contracts, since 2015, following several high profile auditing scandals, including the Guptas. All the companies he’s named in the House of Lords contacted him for a meeting because they were worried about loss of business. He’s so far refused to meet with Hogan Lovells because they’ve denied wrongdoing. Hain is cautious when looking into South Africa’s immediate future, saying he’s “encouraged by’ the hope” but he thinks it will be difficult for Ramaphosa to clean up corruption as it’s “in the DNA of the whole system of government now". He takes heart from the MBA students he teaches at Wits Business School as some of the brightest minds he’s met in the world and he believes this talent is everywhere in the country. “International investors like coming here or did like coming here before Zuma, they’ve been turned away, not least by the corruption. Hain said that the Bribery Act in Britain has in the recent past made British firms nervous to invest in South Africa because if anyone in the firm receive kickbacks in the country, the directors will be individually prosecuted in London.